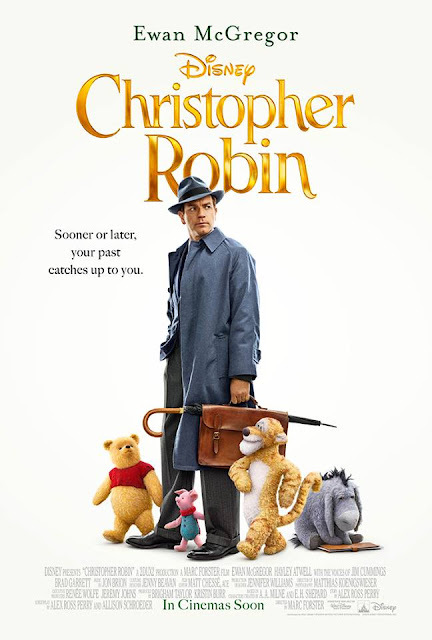 The first trailer is below for 'Christopher Robin,' directed by Marc Foster it stars Ewan McGregor as Christopher Robin, Hayley Atwell as his wife Evelyn, Bronte Carmichael as his daughter Madeline and Mark Gatiss as Keith Winslow, Robin’s boss. The voice cast includes Jim Cummings as Winnie the Pooh, Chris O’Dowd as Tigger, Brad Garrett as Eeyore, Toby Jones as Owl, Nick Mohammed as Piglet, Peter Capaldi as Rabbit and Sophie Okonedo as Kanga. The film arrives in theatres August 3rd.